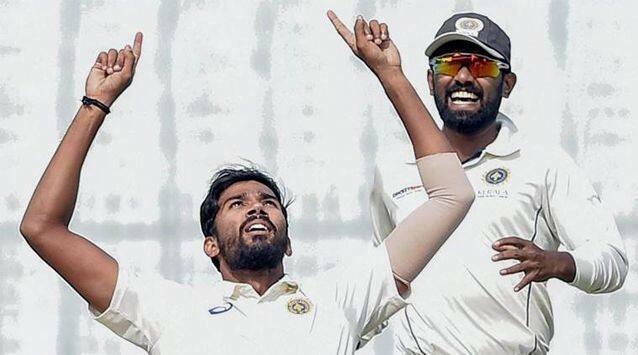 Vidarbha clinched their second successive Ranji Trophy title beating Saurashtra by 78 runs in the 2018-19 Ranji Trophy final at home to draw to a close the biggest Ranji season in Indian domestic cricket’s storied history. Vidarbha skipper Faiz Fazal lead his team from the front scoring 752 runs at an average of 50.13 in 11 matches and even though his numbers may be overshadowed by those racked up by Jaffer, Fazal proved to be one of the best openers in the competition, scoring three centuries and two fifties. 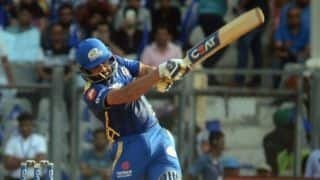 His best knock came in the semi-final against Kerala on a spicy Wayanad track where he scored 75 when the next best score from either side was just 36 – by KB Arun Karthick of Kerala. 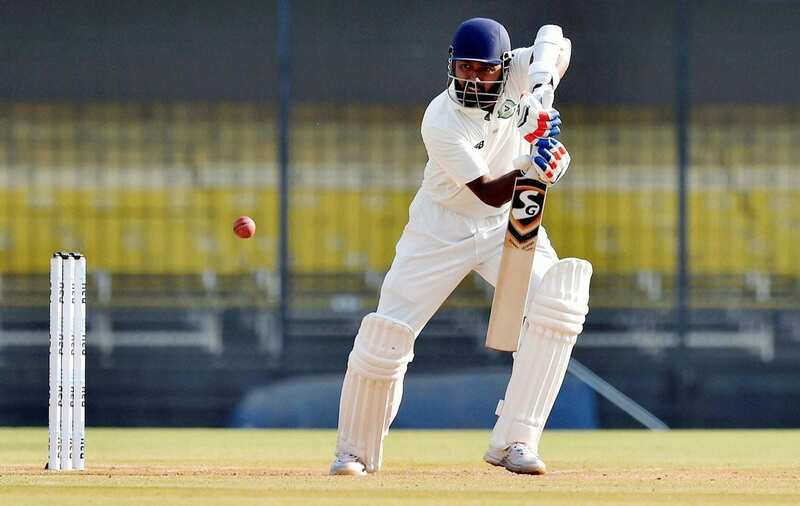 Fazal’s 142-ball knock was crucial in Vidarbha taking a 102-run lead after the bowlers had bundled out Kerala for a mere 106 in the first innings. 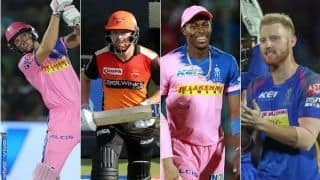 After what was a lean season last year – by his own standards – Gujarat’s Priyank Panchal was back to to his best finishing the season with 898 runs in in nine matches at an average of 59.86; and not only that, he led the team to the quarter-finals in the absence of the experienced campaigner Parthiv Patel – away on international duty. 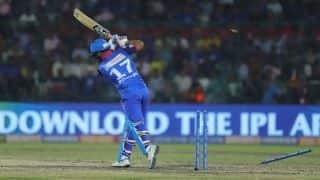 Even though Panchal’s form dipped in the later stage of the tournament – his early form saw him conjure some good number. Only against Vidarbha and Kerala (quarter-final) did Panchal miss out on reaching the double-figures. In total, Panchal hit four hundreds and five fifties. Take out Milind Kumar’s 1331 in eight matches for Sikkim in the Plate group, and you have the 40-year-old Jaffer as the highest run-getter of the season. But the biggest influence of Jaffer for title-holders Vidarbha was probably the wealth of experience he brought to the table. With this win, Jaffer won his 10th Ranji Trophy in as many final appearances and even though his contribution with the bat was nothing to write home about in the final, the veteran had put in the hard yards throughout the season. His knock of 178 against former team Mumbai in Vidarbha’s innings-and-145-run win was the standout. During the course of the tournament Jaffer crossed 19,000 first-class runs and became the most capped Ranji player. A reliable middle-order batsman, the experienced campaigner played a pivotal role in Saurashtra’s run to the final. 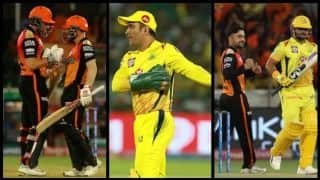 Even though he lost out his No.4 position when Cheteshwar Pujara was back in the team for the knockouts, Jackson had no trouble playing second fiddle to his team-mate. 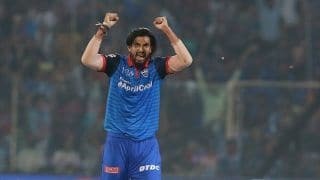 Jackson’s best of the season came in the semi-final against Karnataka in which he scored 46 in the first innings, before combining for a match-winning partnership of 213 for the fourth wicket with Pujara (123) against a line-up boasting of Vinay Kumar, Abhimanyu Mithun, Ronit More and Krishnappa Gowtham. Jackson made 100 as Saurashtra chased a target of 279 with five wickets in hand. 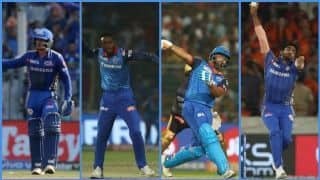 Uttar Pradesh’s run to the quarter-finals owed largely to their young players and alongside Rinku Singh, Sourabh Kumar and Ankit Rajpoot, the 18-year-old Priyam Garg was at the forefront of it. Making his first-class debut this season, Garg, a run-machine in UP’s Under-23 side, started off with 59 and 88 batting lower down the order before being bumped up to No.3. He finished with 814 runs in ten matches which put him in the top-ten run-getters’ list among teams from the Elite group, earning him a maiden India A call-up in his debut season. In terms of the leading wicketkeepers this season, Chetan Bist of Rajasthan stood tall with 49 dismissals – all of them caught – but Vidarbha’s Wadkar makes this list owing to his prowess with the bat. Wadkar was also the joint seventh-best wicketkeeper this season in terms of dismissals with 27 (21 catches, six stumpings). Wadkar – the centurion in the final last season for Vidarbha – scored 725 runs at 60.41, with the help of three hundreds and two fifties. The only other wicketkeeper to have scored more runs than Wadkar was Saurashtra opener Snell Patel with 760 runs, but at an average of 36.19 (he had 26 dismissals). In the final this year, Wadkar made a crucial 45 in the first innings. 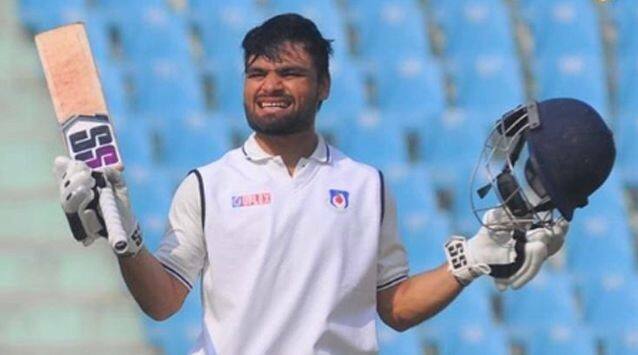 The 21-year-old Rinku Singh had a season to remember, scoring 953 runs at a whopping average of 105.88 with four centuries and three fifties to him name. This despite the fact he didn’t bat higher than No.6 throughout the season. 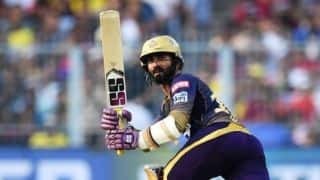 A Kolkata Knight Riders recruit, the hard-hitting left-hander scored big runs at quick pace and moulded his batting according to the situation to bail out Uttar Pradesh on numerous occasions. With 551 runs at 39.35 and 28 wickets at 21.89 Jalaj Saxena was once again the standout allrounder in the Ranji season and is most likely to walk away with the best allrounder award for yet another season. However, similar to Jaffer, Saxena’s impact – as a professional for Kerala – goes beyond the numbers. 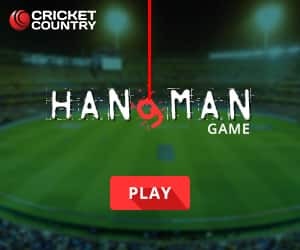 Just ask Kerala skipper Sachin Baby, pacer Sandeep Warrier and coach Dav Whatmore. Saxena played a key role in Kerala’s run to the semi-final while his standout performance of the season came against Andhra when he scored 133 in the first innings and then went on to claim 8/45 in Andhra’s second innings. With that, he set a record for scoring a century and claiming an eight-wicket haul in an innings in a single match on two occasions. The allrounder joined the elite company of the likes of WG Grace, Frank Tarrant and Frank Woolley to achieve this rare double in first-class cricket. 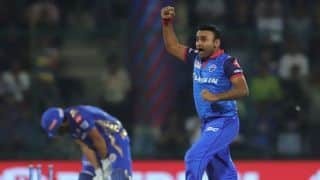 Saxena, who has been regularly overlooked by the selectors was named in the India A squad for the second four-day game against England Lions on Thursday. 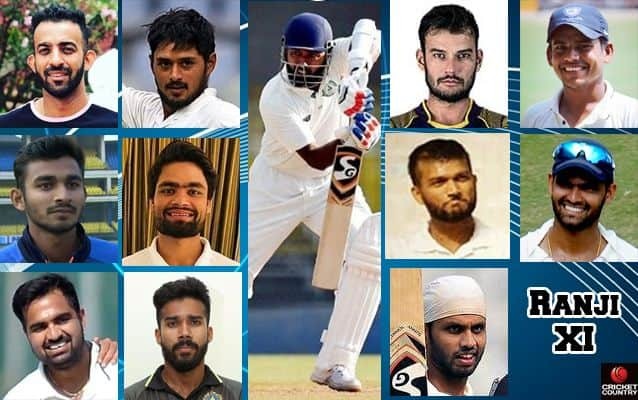 Aditya Sarwate had the game of his life in the final of the Ranji Trophy claiming 11 wickets to lead his side to a second successive title and for that reason alone you could add Sarwate to the list, piping Saurashtra Dharmendrsinh Jadeja (59 wickets). But, with 55 wickets at 19.67, Sarwate more than deserves his place in the Ranji XI for this season. He even got his second first-class hundred against Uttarakhand in the quarter-final. 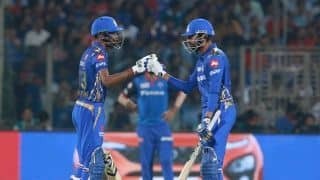 Rajasthan’s marauding run in Group C, which saw them win the opening three matches and go unbeaten throughout the league stages, was due to the left-arm duo of Aniket Choudhary and Tanveer-ul-Haq, who combined to take 100 wickets between them. While Tanveer took wickets at an average of 18.52, Aniket struck wickets at 14. 71, which included an unprecedented seven five-wicket hauls in one season. 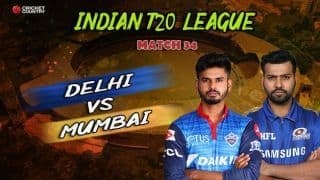 Kerala’s Warrier takes the final spot in this XI on the back of a windfall season in which the 27-year-old emerged out of the shadows of his IPL team-mates. With the ability to swing the both both ways, Warrier led the Kerala pace attack with 44 wickets at 17.54 while playing a key role in their historic run to the semi-final. His spell of 5/33 against Bengal was hailed as one of the best spells ever seen by Whatmore. A former Delhi player, Milind Kumar moved to Sikkim in search of playing time and he got plenty of it and scored heavily. He finished the season as the highest run-getter and missed out on the all-time run-scoring tally for a single season by 84 runs. VVS Laxman still holds the record for most runs in a single Ranji season with 1415 runs in the 1999/00 season. 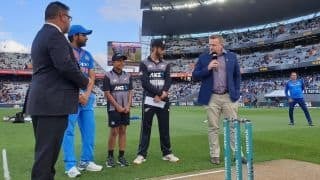 However, Milind’s runs came against first-timers in the Plate group where the quality of the cricket, as admitted by many players, was nowhere near the Elite teams, and for that reason he doesn’t make the cut in this XI. Bihar’s Ashutosh Aman, with a record-breaking 68 wickets in the season too misses out for the same reason.